Today is officially the first day of fall, and nothing screams “fall” louder than a can of Libby’s 100% pure pumpkin. Since the first day of fall coincided with my unexplained craving for a Starbucks Pumpkin Scone, I couldn’t help myself. 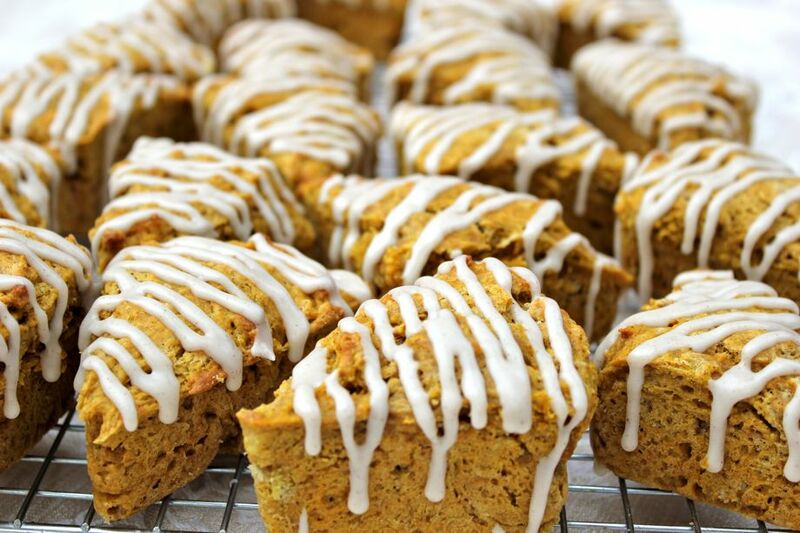 Taste of Home had a great recipe called “Moist Pumpkin Scones“, and it did not disappoint. 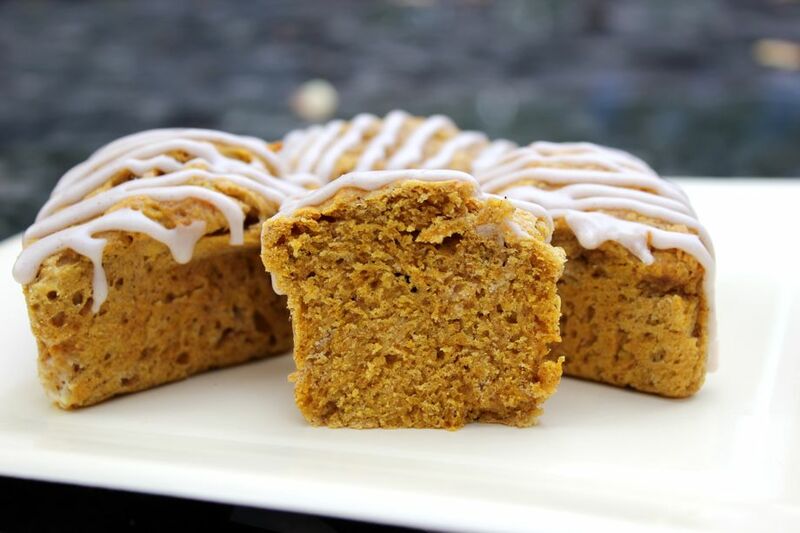 This recipe produces a lofty, cake-like scone that is bursting with pumpkin pie flavor. I baked them in my Nordic Ware mini-scone pan, which yielded 20 mini scones. You do not need the pan to make these. The recipe instructs you to make two 8-inch circles and cut each into 8 wedges, and then bake the wedges on an ungreased baking sheet. My only change to the recipe: The glaze calls for 2 cups powdered sugar, 3 tbsp. milk, and 1/4 tsp. pumpkin pie spice. I needed to add a bit more milk (close to 1 tbsp.) to get the desired consistency. Happy baking, and happy first day of fall! Mmmmm…look yummy! And I just happen to have canned pumpkin and the mini scone pan. BTW, Have you ever thought of leaving your day job to be a baker at Starbucks? Starbucks just paid Pascal Rigo $100 MILLION for his La Boulange bakery chain in San Francisco, so that he could upgrade their food. Sounds like Rigo will be under a lot of pressure and he’ll probably need an assistant. This could be the break I’ve been waiting for. Just put “canned pumpkin” on my shopping list…these look wonderful!